What would you do with an extra $100 per month in your pocket? Or even an extra $500 to $1,000? 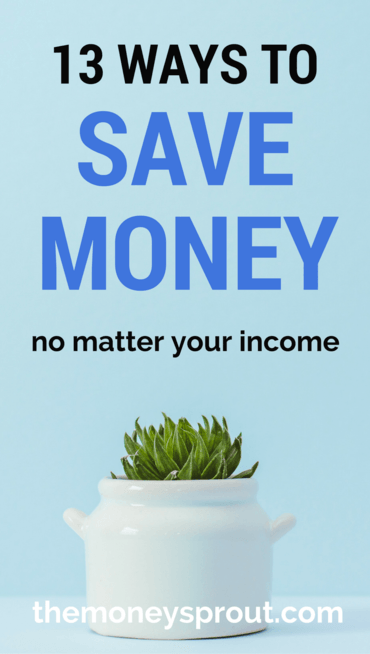 In this article, I am going to show you how to save money each month. Some of these tips may surprise you while others are common sense cutbacks to your spending. Each of the items in the list below our family has either tried or we know somebody who is saving money this way. It doesn’t matter if you make $20,000 or $100,000 every year in income. We all are on a level playing field when it comes to saving our hard earned cash. We have compiled a running list of ways to save money that can put cash back into your pocket today. Some are simple tweaks to your daily life while others are more of a long term lifestyle change. Either way … saving money provides financial flexibility in your life. You don’t have to depend on your job as much. You have the opportunity to turn those savings into more income. The benefits are unlimited when it comes to saving more of your income. I know what you are thinking, please not another recommendation to cut your cable. Well I certainly don’t blame you, but unless you get serious and drop your cable, you are not going to be saving money. And you may be surprised at just how easy it is. This is #1 on my list of tips to save money. After years and years of rising monthly bills (and lots of frustration), we finally dropped our cable in place of streaming apps like Netflix and Hulu. We now save over $1,000 annually from this switch. Note – we even saved a little bit extra by suspending our Hulu service for 10 weeks last summer. We don’t watch a lot of television in the summer and there are not as many new shows on during that time. Perfect way to save even more cash! It is important to keep in mind that if you want to stream your favorite television shows, it won’t be free. However, it can be much cheaper than cable. Why would you pay $7.95 per trade (or more) when you can open up an account with Robinhood and buy and sell stocks for FREE? If you don’t like trading on a mobile app (required by Robinhood), then Stockpile is another option that charges $0.99 a trade. That is still much cheaper than a regular online broker. You can sign up today with Stockpile and get $5 of FREE stock by using the logo below. Over the past several years, our family has saved a ton of money on commissions and broker fee’s by using services like these. It allows us to invest $100 (or even less) in a stock without having to worry about timing the market. All of that money saved by using our Robinhood and Stockpile accounts has been used to invest in more dividend stocks. Our dividend income portfolio would not be the size it is today without these low cost (or sometimes free) brokers. Check out our latest dividend income reports to see how much passive income we are earning each month. Many financial experts would probably disagree with this method to save money. But as long as you are disciplined with your monthly spending, there is no reason not to take advantage of earning rewards on credit card transactions. Our family earns over $250 a year in gift card rewards by charging our everyday expenses. The only thing we don’t charge is our mortgage and water bill … and only because it is not an option to pay by credit card. We are currently earning 2% cashback through our Discover IT card on all gas and restaurant expenses (for the first $1,000 we spend each month). On top that, we earn an additional 1% cashback on all other expenses. There are plenty of other credit card programs earning even more than 1% – 2% back on spending. Just watch out for any annual fee’s that could be charged. If you can control your spending … then I highly recommend taking advantage of these credit card rewards programs. My neighbor told me about this one and I was a bit skeptical at first, but it actually works. I recently purchased a set of 3 coupons for 10% off at Lowe’s Home Improvement on eBay for $1.99. I have a big home improvement project coming up at my house and using just one of the coupons will save us $50+. We also used one of the coupons to help put in a summer garden, which saved us about $8. That is more than the cost of buying these coupons. Just be careful to read the expiration dates before you buy them. Of course, you could also find these coupons through other means. But if you get in a jam, you may want to check out eBay. Does anyone go to the gym anymore? Might I suggest a Tabata workout or High Intensity Interval Training (HIIT) routine that can be done from your own home. There are tons of FREE YouTube videos geared towards quick interval training that are 30 minutes or less. Saves time, gas driving to the gym, and money on a membership. I dropped my gym membership over 3 years ago and have been doing Tabata Workouts ever since and not spent a dime. Overall, we are saving over $180 per year by exercising at home. You say you don’t have time for exercise? We feel that your health is the best investment you will ever make. Not real estate, not dividend stocks … but investing in your health! Take the time to invest in yourself by staying fit and healthy. 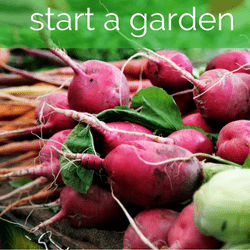 There are a LOT of benefits of growing your own food. Most important is that it should be fresher and hopefully healthier than what you can buy at your grocer. And if you know what you are doing … it has the potential to be cheaper and save you money. Our family recently spent about $85 ($35 for raised cedar garden bed, $20 for organic soil, $20 on plants, $10 on seeds) to plant a vegetable garden. This is an experiment for us to see if we can grow healthy, organic food while saving money. I don’t know how much money we have saved so far, but there is an added benefit of starting a family project like this. My 3 kids have really enjoyed growing our garden this summer and look forward to the watering and weeding! It has taught them responsibility and they are taking pride knowing they have grown food that goes on our dinner table. We plan to share updates soon on the cost benefits of growing your own food. Not spending money to eat out is probably on every “ways to save money” list that is out there. But I couldn’t NOT include it on this one … as I feel it is so important. 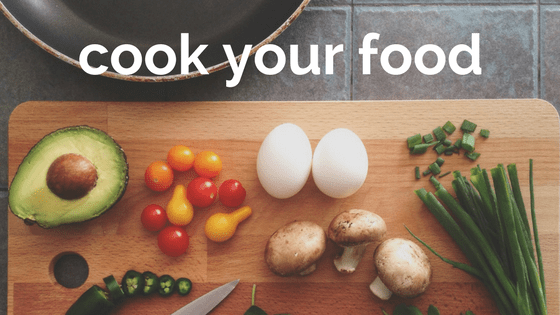 Cooking your own food is not only cheaper, but is also healthier. Eat healthy food = healthy body with fewer medical bills. STOP eating processed foods that aren’t really food! Despite the lower prices to buy processed food-like items, it will likely cost more in the future with prescriptions and higher medical costs. The best investment you could ever make is in your health. That starts with exercise (see #5) and eating healthy foods (see #6). I will be the first to tell you that I don’t like to follow a strict budget. It works great for some people … but we want to have more flexibility in our family budget. However, the one thing that we do at the end of every month is track and review 99% of our transactions – basically anything paid with a bank account or credit card. We do this to keep ourselves accountable and look for expenses that are no longer important to us so we can cut them in the future. Tracking our spending actually help to push our family to finally cut the cable that we talked about already. The best option for this is the awesome free tool – Personal Capital. Once you start tracking your spending … you will be more likely to really start watching what you spend. Which in turn will save you a boatload of money! Every 6 weeks, my wife and I spend about 3o minutes dyeing her hair. She has black hair and any little white/gray hair that sprouts up can really show. So instead of paying $60 to $100 (at least) to get her hair professionally dyed, we buy kits off of Amazon in bulk. These dye kits are actually very environmentally friendly (unlike a salon) and are way cheaper. Plus … it has given me a chance to sharpen my hair styling skills – LOL. Note – This really goes for anything that you can have professionally done – oil changes, lawn mowing, home improvements, cleaning your pool, etc. My wife has even gotten to be an expert on cutting kids hair to save us extra cash every month. Did you know McDonald’s has an App with coupons you can use just for registering your email? I didn’t realize this until my wife heard it from a neighbor. We recently saved $2.00 off our $10 order for a 20% savings. Now we don’t eat out all that much, but we will certainly be looking for mobile apps to save money from now on. Note – I still prefer that we eat at home and cook healthy foods. However, if you are going to eat out, then it makes sense to find coupons like these from mobile apps. That is exactly what I did for 16+ years. I drove the same Saturn sedan for that amount of time and put 150,000+ miles on it. Up until the day it died, it got 35+ mpg and for the most part was reliable. Unfortunately the cost of maintenance was adding up too fast over the past couple of years … so I donated it to charity. I did buy a brand new car, but with 0% financing and I plan to drive this one for 20+ years! Another good thing about driving older cars … the insurance is cheaper as well as the taxes on the vehicle. An even better option if you are willing to sacrifice is to give up your car completely and use public transportation. Our family has a goal to eventually drop down from 2 cars to 1. If you are serious about saving money … then I suggest avoid any kind of financing that you can … other than maybe a mortgage. Most people don’t have an option when it comes to buying a home other than taking out a mortgage. Unless you get a 0% loan (like we did with our newest vehicle) or at a very low rate (like our first car) … try and avoid costly interest through financing. This is especially important with credit cards and the interest rates they charge. And if you are financing things like a home or vehicle … make sure that you don’t overspend your budget. Why buy a bigger house when you can’t afford to put furniture in it? Or purchase a car that you know you can’t afford? 13. Ask Yourself What You Want to Afford? This last tip can be applied to any area of your spending and should be asked every time you buy something. Whether it is your monthly mortgage payment, you car loan, or a loaf of bread … make sure it is something that is valuable to you or your family. Make sure you want to afford it. For me … life is way too short to save every single penny and not enjoy the important things. So I don’t want to follow a strict budget every month. I want my family to spend money and go on vacations. I want to buy healthy, organic foods for my body. It is important for my wife and I to have a nice, clean home in a safe neighborhood for our family. Those are all things we want to afford and won’t skimp on. On the other hand … we could care less about cable television right now. So we choose not to afford that monthly expense. Always make sure you are spending you money on items and experiences that have value in your life. You are obviously interested in saving money … or you wouldn’t have made it this far! However, your hard work is not done yet. It is only getting started. You see … saving money is awesome. But what is better than keeping more cash in your pocket? Using that extra cash to grow your income. There are many opportunities to grow your income through investments, interest paying accounts, starting a business, real estate, etc. Personally, I have found that the best vehicle to grow your income (from all that savings) is to build a portfolio of dividend paying stocks. Our family has been focused lately on saving at least 20% of our income. And guess where that extra cash is going? The extra savings is being invested (every month) into our dividend income portfolio. 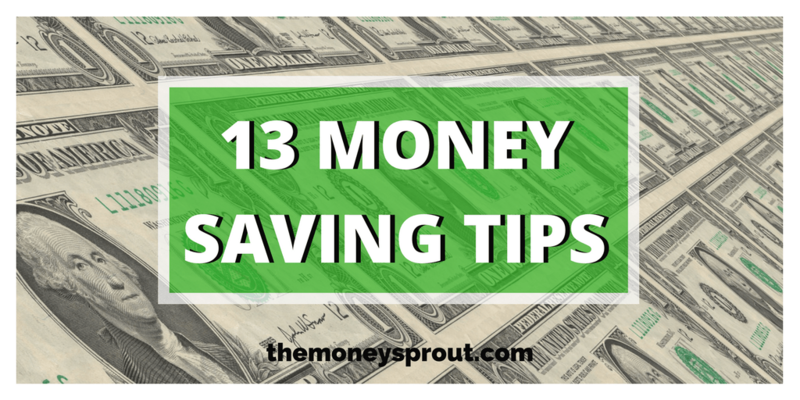 What other tips can you suggest to save money? Are you turning all your savings into more cash through investments?